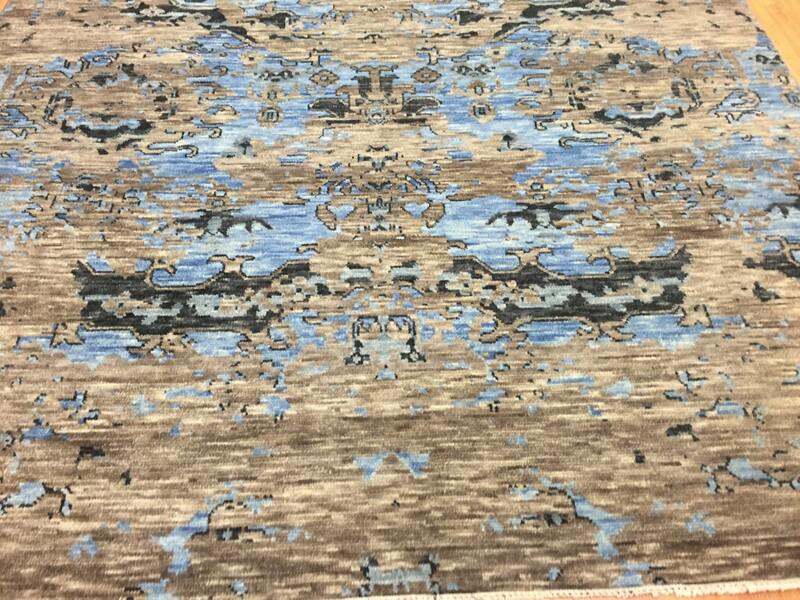 This glorious modern rug is a brand new 8' x 10’ Indian from the Soft Melody Collection. 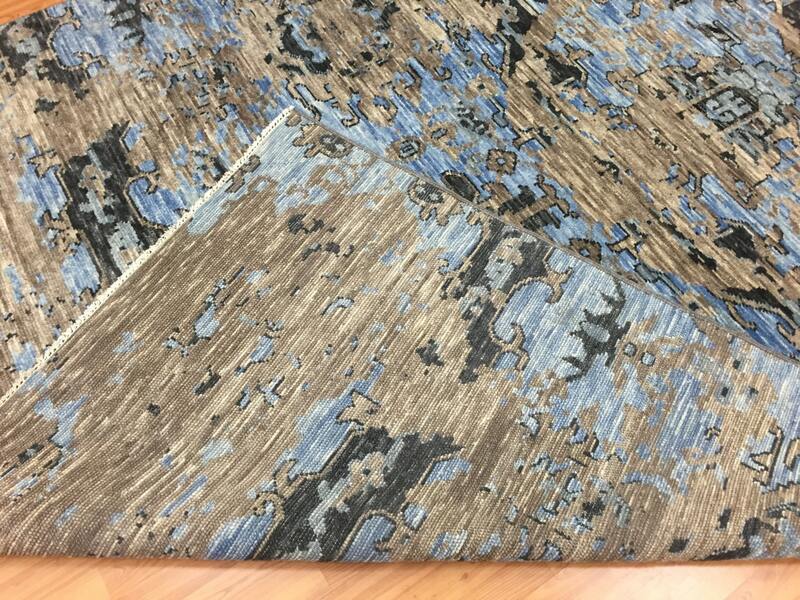 Soft Melody is a transitional custom rug featuring damask-like feminine designs. 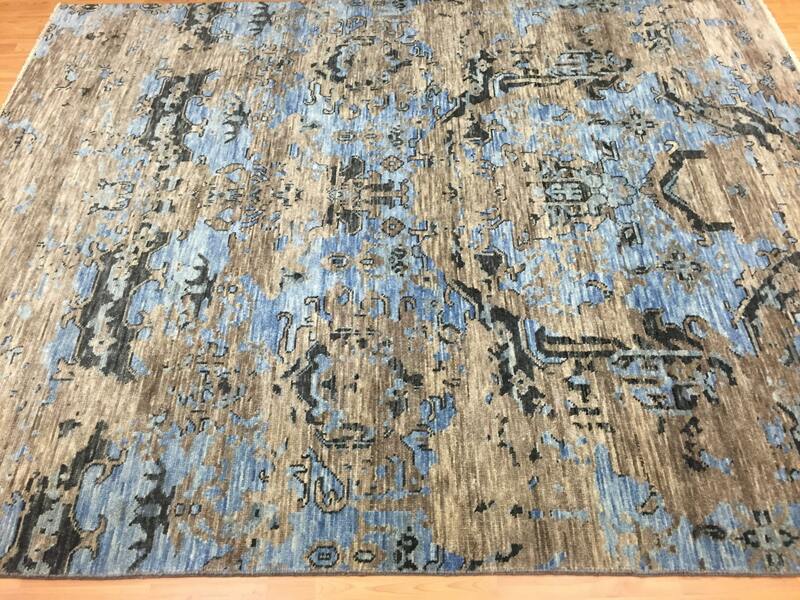 This designer rug range has a vintage look, creating an upmarket feel that lasts. 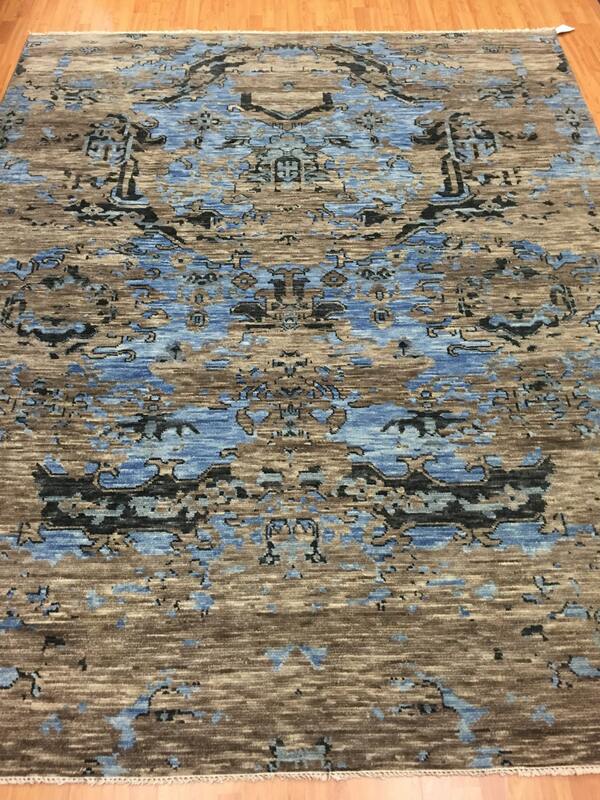 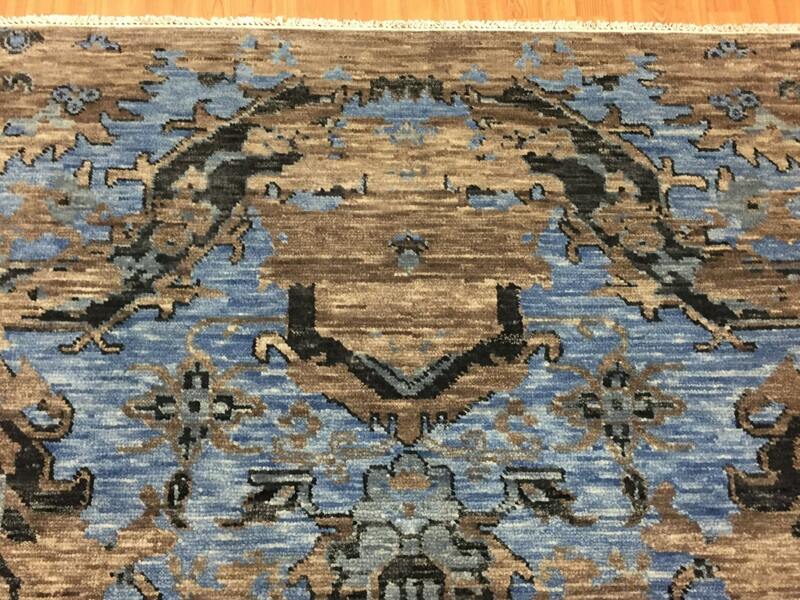 This hand made Indian rug is made with 100% wool.